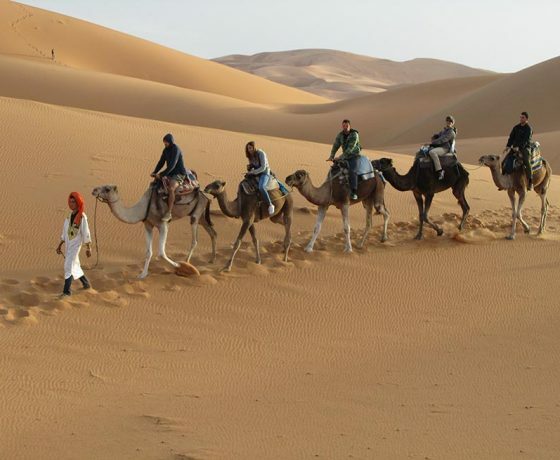 3 days exciting trip from Marrakech to Fes via Merzouga. Modern air conditioned minibus . A private desert tour that will take your party from the hotel in Marrakech and over the next three days, out into the desert and on to Fes. 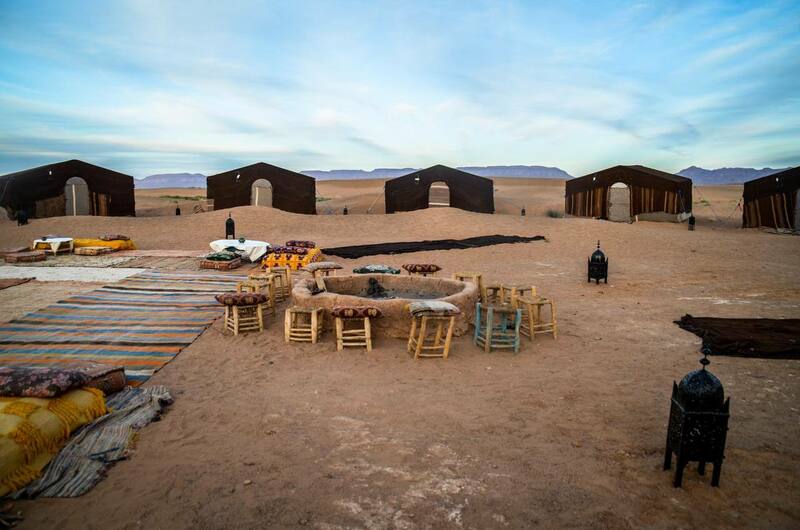 A private guesthouse awaits you and your party for the first night’s stay and an overnight stay in a desert camp awaits you all for your final night out. 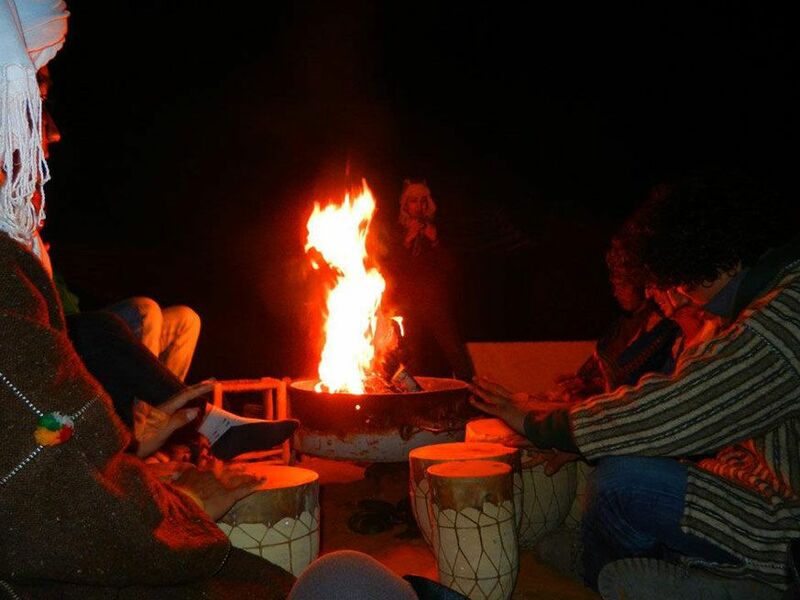 The desert camp is reached by means of a camel trek and the experience of sleeping to the gentle sounds of Moroccan drums whilst stargazing is an experience to hold in the memories for a long time to come. 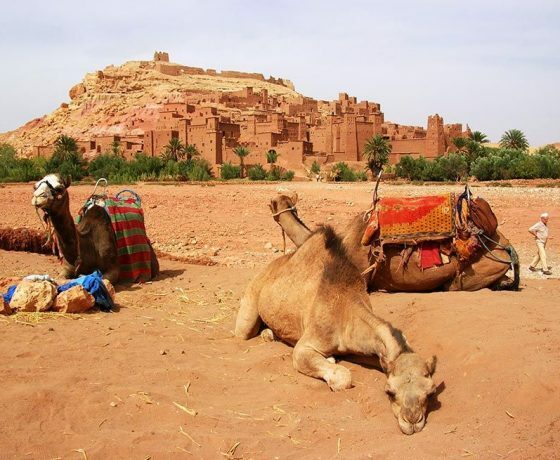 The first day is where our tour takes us from the hotel in Marrakech to Telouat and then the Kasbah at Ait Ben Haddou. This is a World Heritage Site and consists of many stalls within a walled marketplace. There is a truly ancient feel about the Kasbah and private parties can easily be guided through these mazes of stalls and souks. 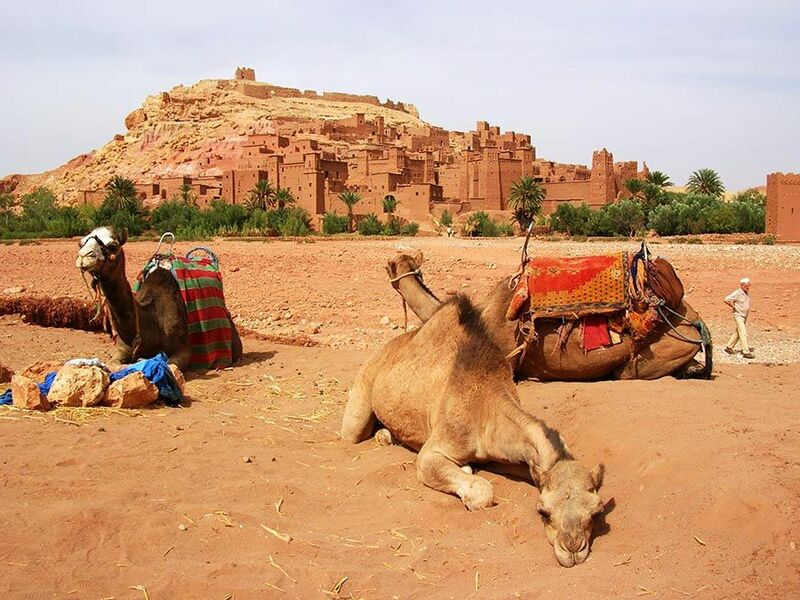 We will visit the city of Ouarzazate. This magical city is known as the Gateway to the Desert. It is also the location for many major film productions. The Mummy and Lawrence of Arabia were both filmed while on location in the region and seeing a film crew at any time is not an uncommon sight. Following a hearty lunch, which can be taken at any of the wonderful cafes in the city, the tour will move into the Dades Valley. 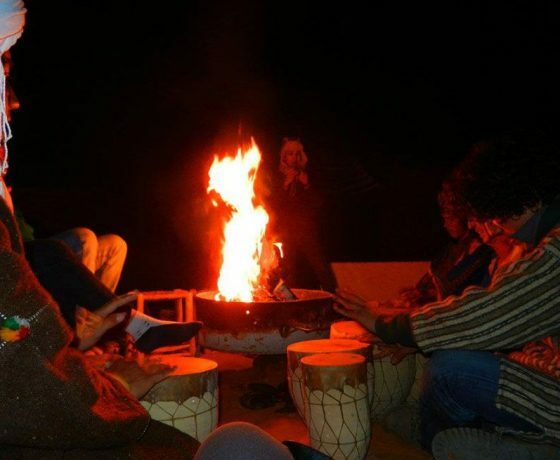 Here, your party will go down into the Boulmaine Dades and accommodate ourselves at the very desert’s border country. After breakfast on the second day of the tour, you can enjoy more of the Dades Valley and we will head for the Todra Gorge. 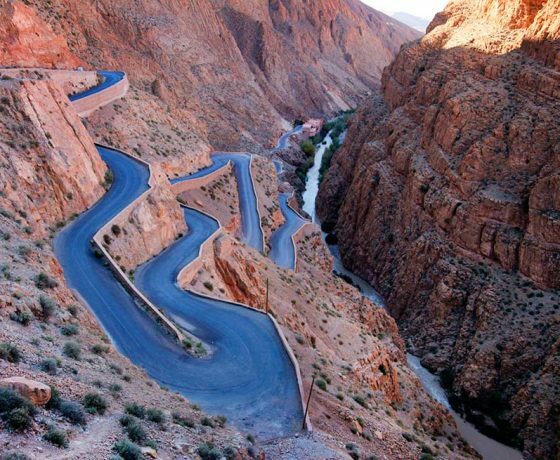 This area is basically a large canyon with well-maintained asphalt roads, rock climbers, occasional flooding from the Dades River and several tourists enjoying a scenery like no other. 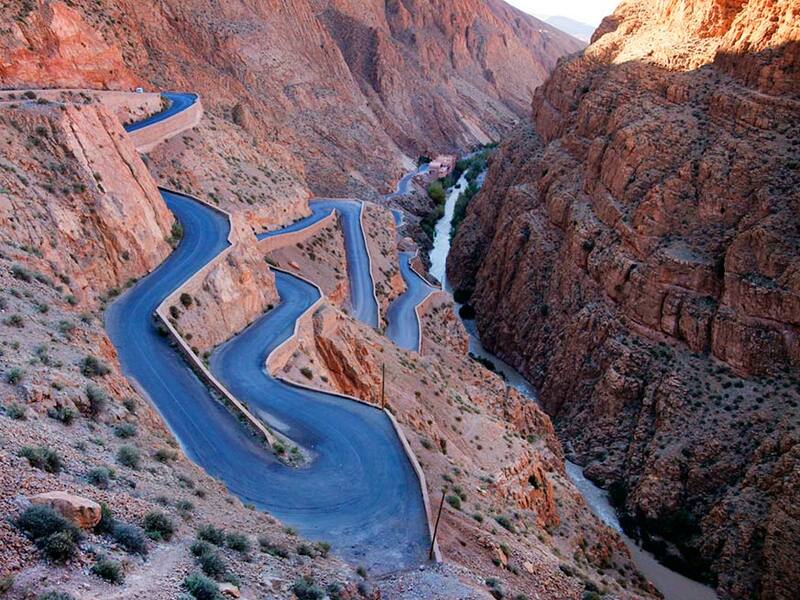 All in all, the journey out of the Dades Valley and on to Merzouga will take around four hours. In the evening, and just before the sun goes down, the private party will trek on camels to a desert camp. 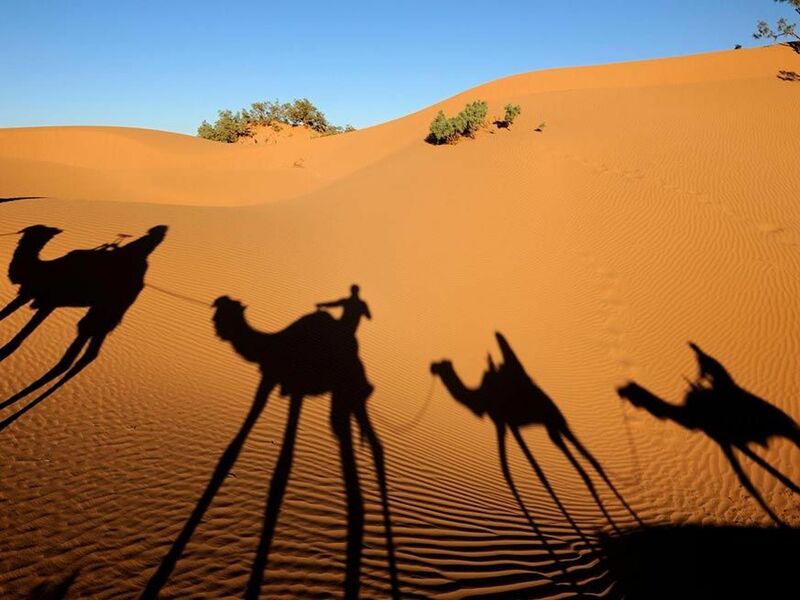 Camel riding across the dunes and witnessing the sunset is something very few people get to do – unless they visit Morocco on a desert tour. 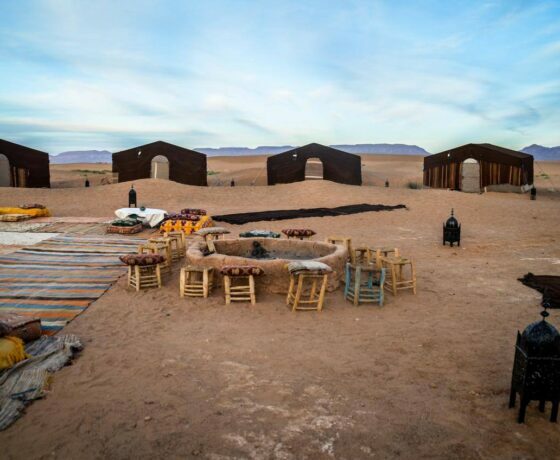 You may have slept out in the past in a tent but a desert camp is an experience like no other. 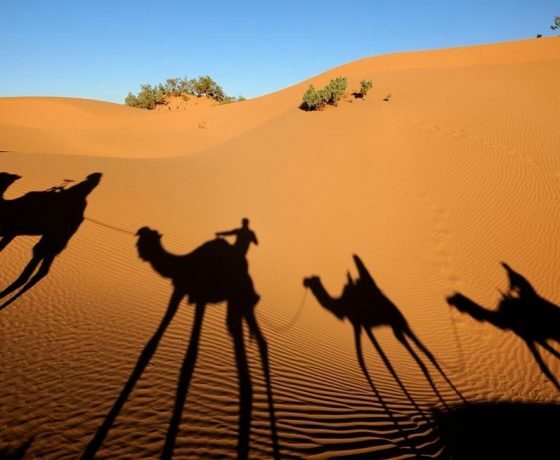 The camels are roped up, the food of Moroccan dishes is served, the sounds of Berber drums beat gently in the desert night and the sky turns an inky black before producing a glittering of stars. 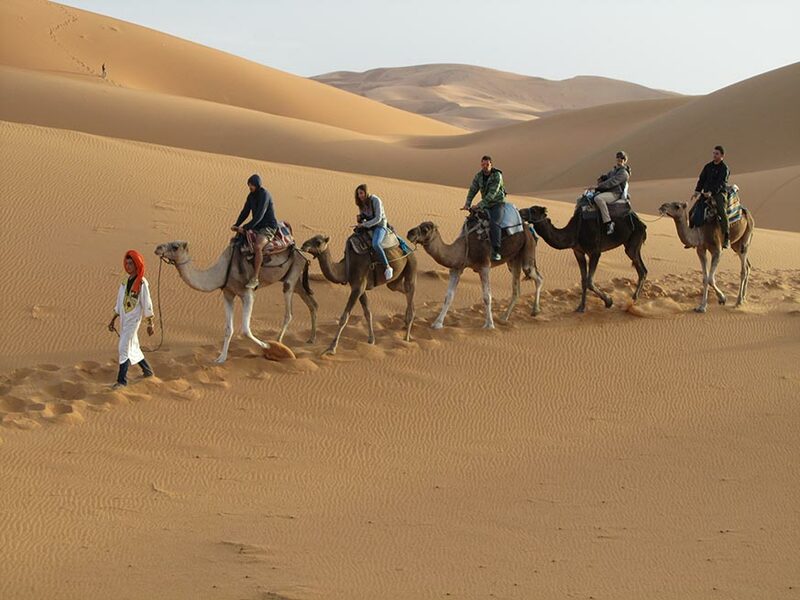 The camels will take the group back to Merzouga and the drive to Fes awaits. Along the way: one of the world’s cleanest and most fascinating cities in the Moroccan desert, called Ifrane. There may be an opportunity to see the Ziz Valley and on to Fes to arrive in time for the evening meal and the conclusion of your private tour.